Please contact us to learn more about John L. Norget & Co. Ltd. and how our team of experienced sales, marketing, importing, distribution and warehouse professionals can help you succeed in the Canadian grocery market. If you have any questions or require additional information about our products and/or services please do not hesitate to contact us using the information below. We will get back to you within 48 hours. 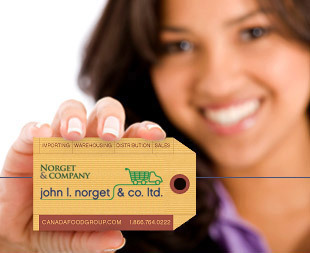 John L. Norget & Co. Ltd. is the Prairie Partner of Canada Food Group.